The Book Chain Meme is hosted by Annabel Smith and Emma Chapman. 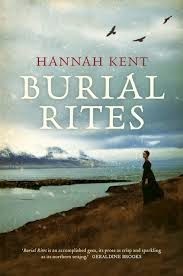 April's book is: Burial Rites! After Tess is raped by the dastardly Alec d'Urberville, whom she is sent to claim kinship with, her life is set on a tragic path. Like Agnes, she is driven to murder, and while her crimes are excusable to the reader who has grown to love her, Tess must face the consequences for her actions in the end. 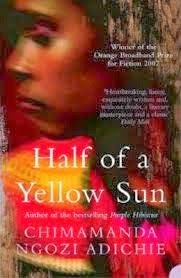 Both One Day and Half of a Yellow Sun are great books with TERRIBLE filmic adaptations. I had the misfortune of sitting through the film for Adichie's Orange Prize winning novel on it's opening night and was saddened by the subtle nuances absent, the minor characters and subplots mising, and the diminished role of two of the protagonists in the book. Both films were ambitious in trying to take on a complex and intricate novel, and both failed. The only other Women's Prize for fiction winner that I have read... yet! I have vivid recollections of reading this book on the train and being so stunned by it's conclusion that it perplexed me how everyone else in the carriage was okay, just carrying on with their lives. This book is amazing and never fails to provoke complex discussion. 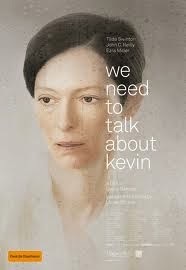 The mother in the adaptation of We Need to Talk about Kevin was played by the captivating Tilda Swinton, who first came to my attention as the White Witch in the Narnia series of the early 2000s. Swinton was exactly how I imagined the Witch to look, with her icy eyes and long, sharp nose. 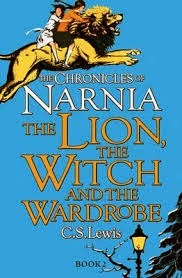 She brought to life this beloved children's novel for me. That's all from me for this month's meme, but please check out Annabel and Emma's blogs for more. Great chain, Em. I loved Tilda Swinton in The Lion, the Witch and the Wardrobe too. Love your links, Emma! 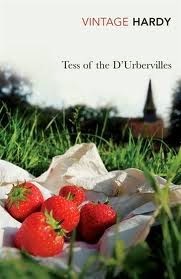 I am yet to read Tess of the D'Urbevilles, and am always put off by the dark subject matter, and have similar feelings about We Need to Talk About Kevin. 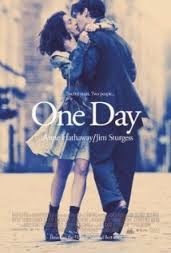 Great to see One Day on your list - I LURVE that book! Thanks so much for taking part. Like your link between Tess and One Day!